Do you apply effects during recording or only during mixing? Tags: Recording newbie guide, VST plugin. 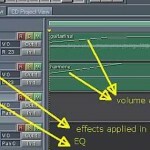 One of the most often asked question in music production is when to apply effects? Is it perfect to apply it during recording? Or record everything as dry as possible then put effects during mixing? Which of the two is most recommended in terms of recording quality? This is a slightly complicated topic and there is no short answer. You really need to learn the basic concepts about this so that you won’t be unnecessarily scrapping your recordings because you think it’s not good enough. Effects Applied during Recording – Get it right at the source! In the ideal world of recording, applying effects DURING recording would be the best thing to do to get optimum recording quality. This would make your recordings sound great at the source while the audio mixing would be very simple because all it needs to do is summing up the tracks and then you have the complete mix down. No effects applied during mixing means that the recorded audio is perfectly identical to its analog source; it always sounds great if the recording is not subjected to digital processing (such as effects applied on the mix). 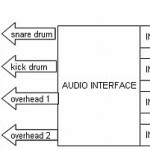 But 90% of home recording studios cannot follow the set of room specifications designed to record drums very well. 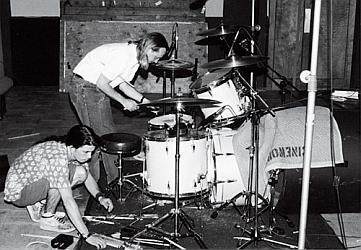 So the only way is to record the drums as dry as possible and then apply reverb and other effects later on the mix. It still sounds good but not as great and legendary as those recorded in nice rooms. 2.) Guitar distortion also sounds best if effects are applied during recording. It is why in big rock albums, producers would opt to record the guitar amplifier cabinet sound using microphones more often than DI method. The primary reason is that analog tube distortion or distortion coming from a real pedal or amp effects sounds many times better than many guitar emulation plugins. To record the best possible sound of guitar before recording and mixing, producers would use the best amplifiers, guitar effects pedal and a well sounding live room designed for recording guitars. But again 90% of home recording producers cannot have this luxury in their rooms. So it makes sense to directly record guitars as dry as possible and then apply effects later on the mix. How to do a multi-track recording session?